PriceMole is now tracking your competitors stock alongside price changes. The app will notify you when a competitor goes out of stock, so you can adjust or set a price strategy accordingly and when the product becomes available again. This will allow you to raise your prices, when your competitors stock runs out, and gain additional sales during this time. The app is also able to mark and disregard pages and products that have been removed or are no longer available, keeping you from unnecessarily regarding old prices. On Dec. 7th the PriceMole team undertook some upgrades to it’s infrastructure. We performed some unplanned database maintenance to increase capacity, which caused a few hours of downtime. 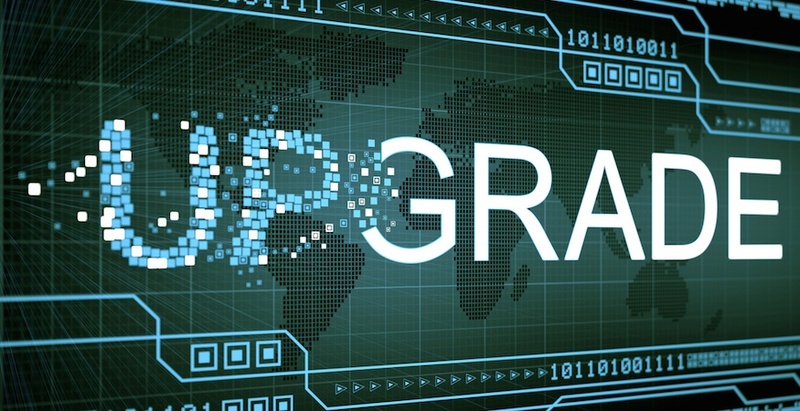 Thanks to these upgrades, scraping speeds have improved and prices/stock are being grabbed and updated more reliably. 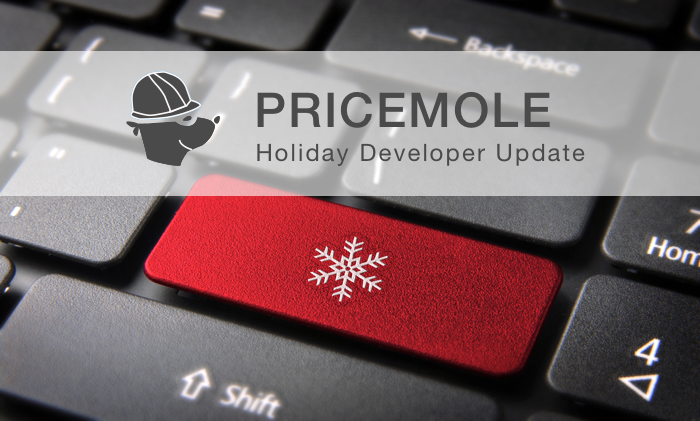 PriceMole continues to work on speedups and crawler improvements to deliver the most accurate and reliable price tracking solution available. Many websites store different variants on the same page, sometimes containing different prices depending on the product, making it harder to track specific variants. For example: You want to track the Box of 12 coconut chocolate bars. The URL at the top of the page does not change though, depending on what options are selected. Currently the app would display the same price for all variants. Once available, you can add the description of the product variant in the advanced section of competitor tracking, and PriceMole will be able to determine different prices on the same page, even when the URL remains the same. Price Strategies let you automate your repricing process, but they are currently based on all competitor for this product. What if you prefer to add your supplier to the list of competitors, but dont always want your price to drop down to cost based on this. 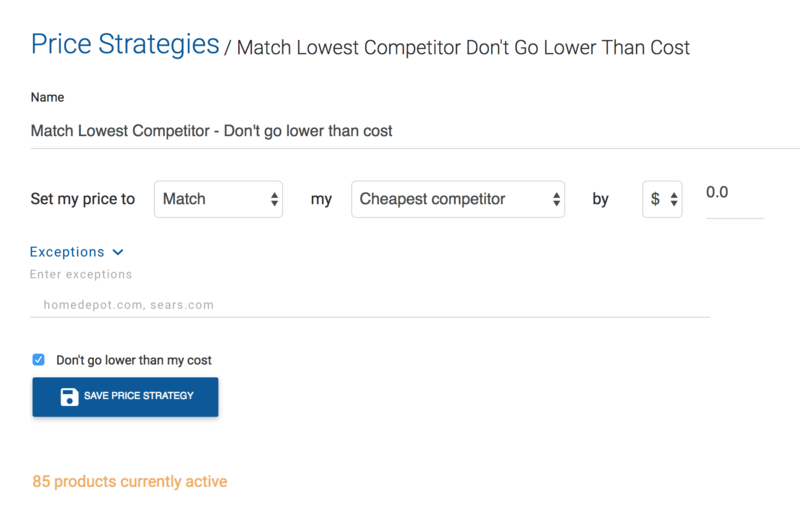 Very soon you will be able to set exceptions to your strategies, allowing you to track all competitors, but not have them all influence your automated repricing strategies. HAPPY HOLIDAYS FROM PRICEMOLE: $25 CREDIT! Come and give PriceMole Shopify a try or upgrade to a superior plan and receive $25 credit on us this holiday Season! With PriceMole you always know what your competitors are up to. Notification alerts and reports will keep you informed of any changes to prices you are tracking. Pricing strategies will automate your response and keep your prices competitive. Contact us for more details!